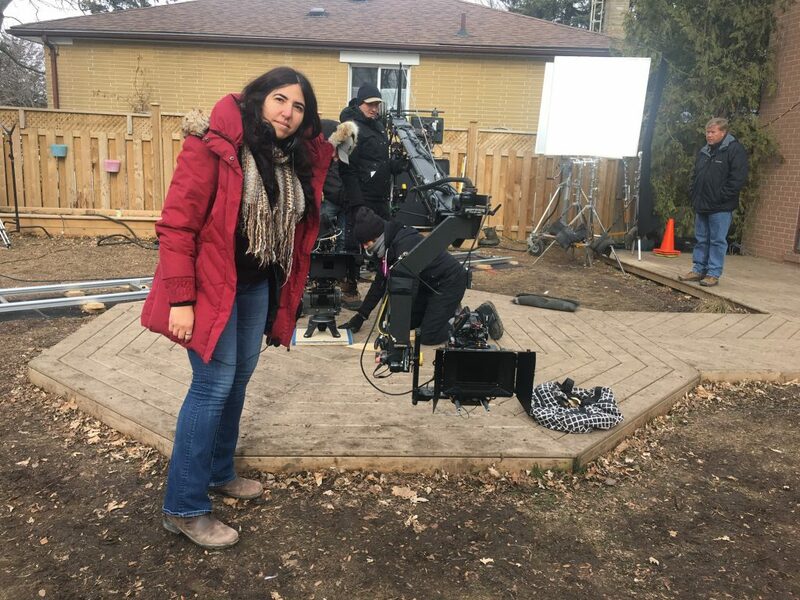 Being relatively new to Canada and having all of my film connections mostly in Egypt and the UK, I was eager to take part in any opportunity to get my foot in the Canadian industry’s door. 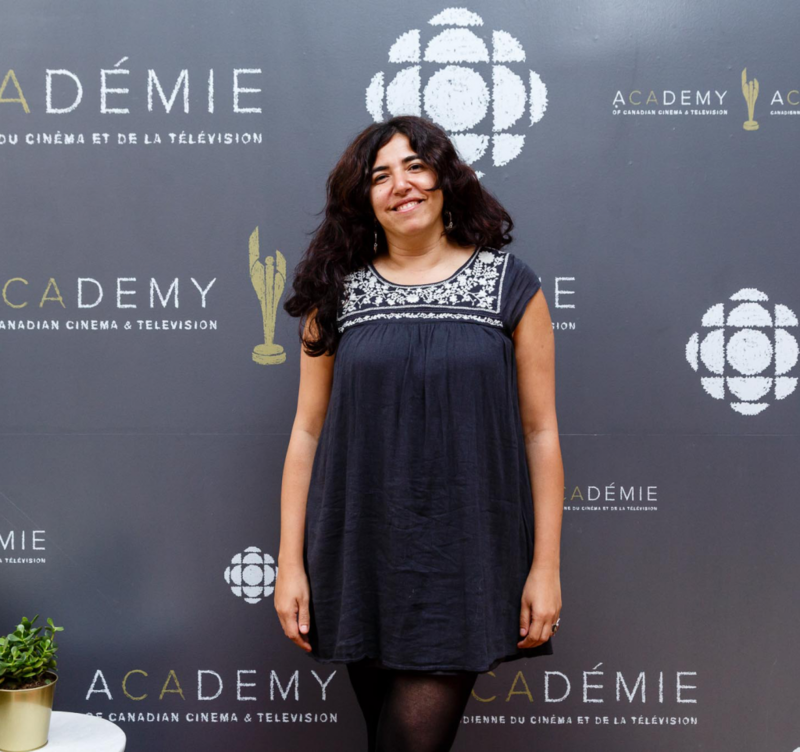 Those opportunities made a remarkable difference in my understanding of the Canadian film landscape, allowing me to meet the right people and have calling card films that showcase my filmmaking style, ability, and voice: a voice with an Arabic accent. I have always been passionate about making films, but in recent years, I have become increasingly fixated on stepping into writing and directing for TV. I thought the transition from film to television would be seamless. After all, I have the education and a few successful short films as proof that I know what I’m doing. I was eager and ready. My plan began to falter though as I quickly discovered that television is a completely different beast; even if I had shot a feature, I would be starting my career all over again regardless to get into TV. I was perplexed…why did it have to be so difficult? My next option (which I thought would be the easiest thing to do), was to find a mentor to take me under their wing and allow me to observe their work in TV. I hoped I would be given the opportunity to network with their team (since this industry is all about who you know), but I hit another wall: shadowing a director is rare and coveted, and despite being unpaid, these are very tough gigs to get. I persevered but to no avail. Some programs offered the possibility of getting into TV, but you had to already have television experience, or at least shadowing experience. The chicken and egg conundrum was becoming real for me. That was when the Academy’s Apprenticeship for Women Directors came along. I initially decided not to apply since I figured that there must be some kind of catch. I managed, however, to fend off my skepticism long enough to read through the application guidelines and discover that this was it; this was the entry point. It was the exact opposite of most other programs. The Apprenticeship sought female directors who, like me, didn’t previously have access to being on the set of a TV show. The more experience you had, the less it worked in your favour…this program truly wanted to make a difference for emerging directors who wouldn’t otherwise have a way in. I sent in my application and, in what seemed like no time, received the incredible news that I had been accepted. The program started by introducing us to the industry during the Toronto International Film Festival. The media coverage alone raised my profile as a director. As our training began, we had online sessions with industry experts on a variety of topics. The experts introduced us to different aspects of filmmaking, offered advice, and answered any of the questions we may have had. Then came the mentorship. 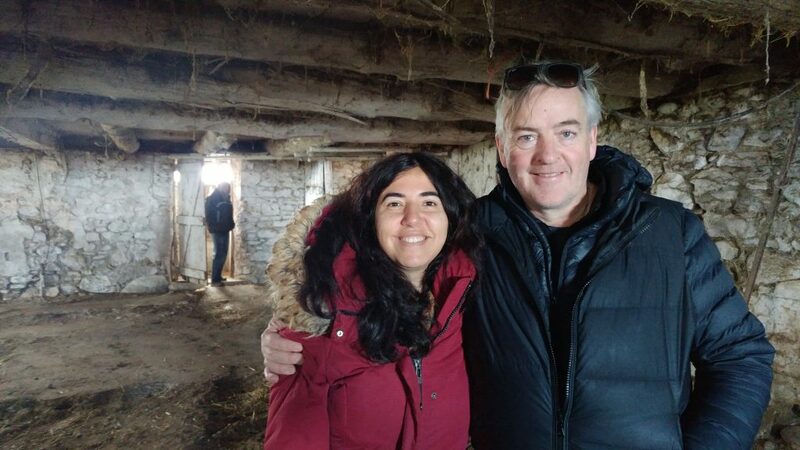 I had the opportunity to shadow brilliant director, Mike Barker, on the multiple award-winning show, The Handmaid’s Tale. I was so adrenalized, I couldn’t sleep for weeks prior to shadowing. The mentorship began with attending prep meetings and location scouting, understanding how intricate the work of every department is on a high budget show, and how each department works together. I also observed how the role of the director on a well-oiled TV show differs from that role on a feature. I realized that unlike film, in most instances, a director on a television show is a guest. Like any good guest, a television director needs to respect the existing protocols, process, and dynamic on set, yet still bring a bit of their own voice into it, as long as it keeps the integrity, tone, and style of the show. This is not a free rein, nor is it an easy task, but it was eye-opening to observe how to walk that thin line and be able to maintain one’s voice as a creator. Though I maintained a fly-on-the-wall stance most of the time on The Handmaid’s Tale, it was inspiring to see Mike Barker work with such talented, experienced actors and to understand that the work is such a collaborative and consultative process. Despite Mike’s busy schedule, he made time to explain to me how he planned certain shots and why, which honestly, was my favourite part of the whole process. We discussed how we each would hypothetically shoot certain scenes and why, and compared how different our approaches were. Every day on set was a new learning opportunity, but there were three particular days that linger in my mind, even as I write this, months later. One was watching a character being shot, another was an explosion, and the third, the opening scene of season two which made me cry while we were shooting…and then again when I watched the edited version. Each of those days introduced me to new directing techniques that I was very eager to grasp. During prep, and sometimes during the shoot, Canadian production designer, Elisabeth Williams, who also works on Fargo, gave me insights on her work and how the art department goes about creating their world. She introduced me to some team members who exposed me to their specific approach to creating a make-believe world such as that of the Handmaid’s Tale colonies. It was fascinating to watch the locations we scouted transform within a day or two. Every detail of the show was chosen meticulously and proposed to the director for input, discussed during prep, and implemented during production. 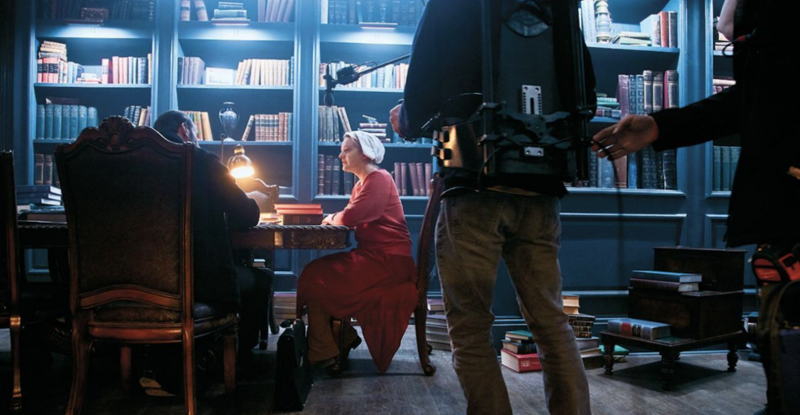 I had the opportunity to ask Colin Watkinson, the award-winning director of photography, about the dazzling equipment on set, and learn about its use with relish, especially the highly technical gear. He made room in his very hectic schedule to explain to me in detail how everything works and how each item serves the shots. 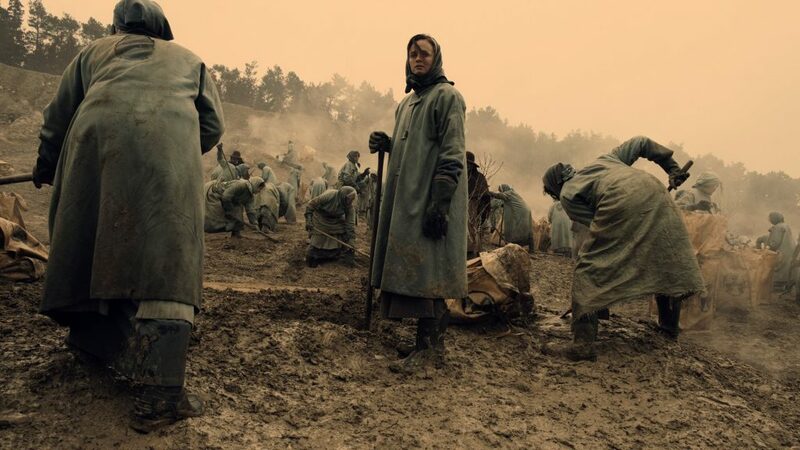 Now, as I prepare to shoot my first feature film, I am realizing that throughout my planning, the shooting style of The Handmaid’s Tale is in the back of my mind. It’s not only about creating beautiful shots, it’s about creating meaningful shots that convey a sentiment, which is how I am looking at each of my scenes after this experience. I used to shoot very instinctively. Now I analyze each scene in absolute detail: designing shots, colours, and intricate details based on my scene analysis. My creative choices have changed tremendously and I feel like I’ve grown so much as a filmmaker. Through my experience with the Apprenticeship and my time on the set of The Handmaid’s Tale, the door to having conversations with high level executives in television is now ajar, rather than completely locked. I am now working on opening it further. I don’t see myself as a “female” director. I see myself as a director. And while the Apprenticeship program is specifically designed to help boost the presence of female directors, I see it as a great tool to bridge the gap and promote gender equality. It provides experience to female directors that the industry has failed to provide. I believe that we female directors, must be ourselves on set and not be concerned about how we’re viewed or judged. One of the challenges I find as a director is that any mistake I make will be taken to represent all other female directors and might discourage the hiring of more. Sometimes, when you view yourself in the way that you anticipate others are seeing you, you become that hypothesized person instead of being yourself. However, I am making a choice that my gender and ethnicity do not dictate who I am as a director. It’s my passion, my vision, and my hard work that does. When I am on set, everything else disappears but my fervor. I would like to extend my deep appreciation to Sheila Hockin for making this amazing opportunity happen. As a message to broadcasters, showrunners, and executives: it’s time to let talented directors who were deprived of the opportunity in the past, finally take the helm. 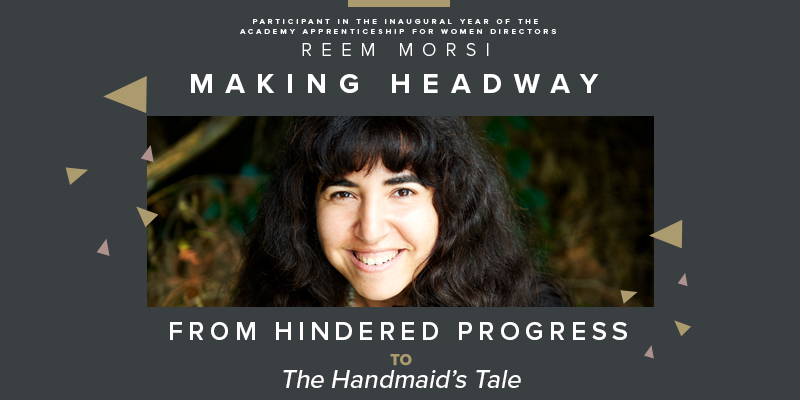 Written for the Academy by Reem Morsi. Graphic Design by Orest Kus. The Academy of Canadian Cinema & Television is a charity and we welcome your support. 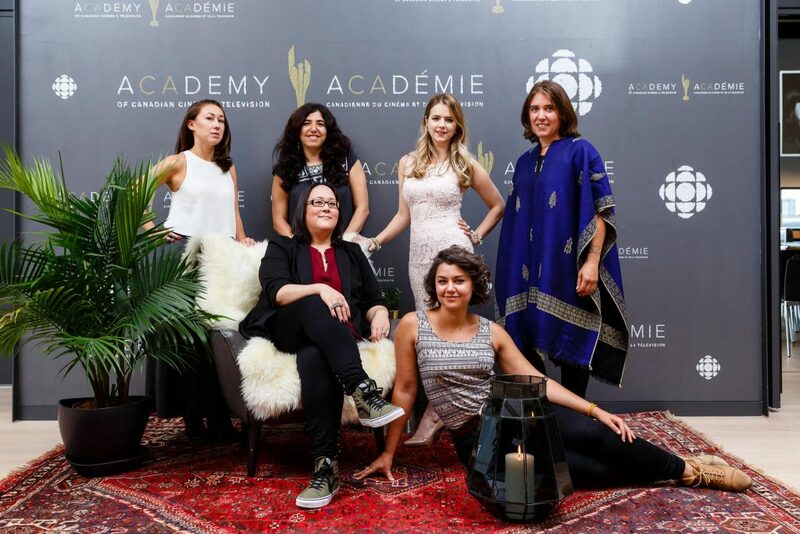 To help us maintain worthwhile programming like the Academy Apprenticeship for Women Directors, please consider making a tax-deductible donation.